Since 2013 and perhaps earlier, Iran has been engaging in crytpo-currency-based transactions for a variety of purposes. The US also asserts that “the Iranian regime uses deceptive practices, including front companies, fraudulent documents, exchange houses, seemingly legitimate businesses and government officials, to generate illicit revenues and finance their malign activities,” according to the advisory. “Iran’s deceptive practices have been orchestrated not only by elements of their government such as the Islamic Revolutionary Guard Corps Qods Force, but also by Central Bank of Iran officials who were at the highest levels,” said Sigal Mandelker, US Under Secretary of the Treasury for Terrorism and Financial Intelligence. Iran has made no attempt to keep secret its active involvement in crypto-currency development as well as their potential application in the pursuit of sanctions relief. However, most experts appear to agree that Iran’s use of virtual currencies to evade sanctions is insignificant to date. “While some reports refer to Iran’s nascent attempts to develop some kind of national crypto-currency, it is unclear how the currency would function in practice, especially with respect to sanctions evasion,” Omar Bashir, senior associate at Washington DC-based Financial Integrity Network, told Asia Times. “Iran may use transactions in conventional virtual currencies such as Bitcoin – potentially coupled with mixers and conversion to more privacy-friendly coins – to avoid detection. “FinCEN’s October 11 advisory states that Iran has been involved in at least $3.8 million worth of Bitcoin-denominated transactions per year since 2013. The advisory also notes that this is a comparatively small number and suggests that Iranian sanctions evasion via virtual currency is a potential concern rather than a phenomenon it has observed already. “There is not much public visibility into where [Iran is] besides a few statements officials have made to the press. 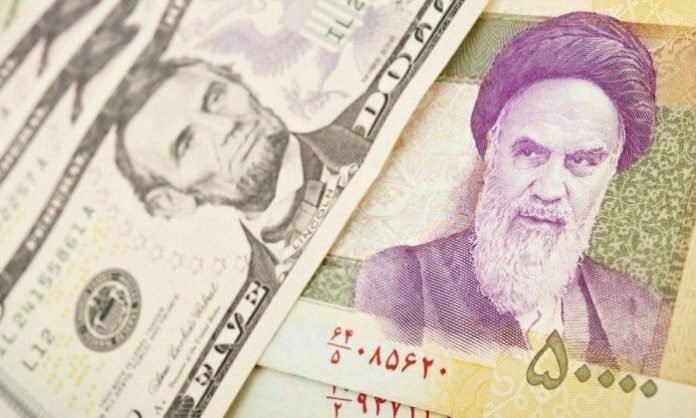 All we have heard is that they plan to roll out their crypto-currency first for Iranian banks,” said Yaya Fanusie, director of analysis for the Foundation for Defense of Democracies’ Center on Sanctions and Illicit Finance. “Secrecy is not a big issue here for Iran. Otherwise, they would not have announced their intentions. They want their crypto-currency plans to be public. They say they’re using a blockchain platform called Hyperledger Fabric that is open source software available on the market. That said, Iran is certainly watching North Korea closely and may be learning important lessons in the process. Is there any connection between North Korea and Iran here? In other words, has the North Korean successful track record in using crypto channels impacted or even emboldened the Iranians? “I can only speculate, but the North Korean example is likely an aspirational one for Iran. In addition to using virtual currency channels to move money, North Korea has reportedly hacked computers to secretly mine crypto-currency, stolen funds from crypto-currency exchange customers and raised money by launching scam initial coin offerings or ICO’s,” said Bashir. “North Korea appears to be hacking some crypto-currency exchanges and experimenting with crypto-currency mining. But neither country has shown what I would call success in the crypto-currency sphere. What is happening is that people and nations in general are becoming more familiar with crypto-currency technology and are looking for ways to use it to their advantage. “But this technology is still very nascent. What we’re seeing now is experimentation. We should not assume that this pathway will develop into a significant or dominant source of funding for these regimes,” said Fanusie. “Evasion methods that rely on virtual currency would require an exchange to convert virtual currencies into currencies that are more widely accepted,” Bashir said. “Iranians involved in such activity, as well as those participating in these schemes from outside of Iran, would likely be designated under sanctions authorities. Systematic efforts to evade sanctions, if revealed, would further harm the reputation of Iran’s financial sector regarding illicit finance risk. The US Office of Foreign Assets Control (OFAC), which administers and enforces economic and trade sanctions at the US Treasury Department, has been monitoring the situation in Iran for years. “Despite public reports that the Central Bank of Iran has banned domestic financial institutions from handling decentralized virtual currencies, individuals and businesses in Iran can still access virtual currency platforms through the internet,” the OFAC declared in a recent FAQ released in tandem with the FinCEN advisory. Anyone subject to OFAC jurisdiction and actively using digital currency cannot engage in unauthorized transactions prohibited by OFAC sanctions such as dealings with blocked persons or property, or engage in prohibited trade or investment-related transactions. Russia looms large in the background as a potential sanctions-busting partner for Iran in this regard. However, European University at Saint-Petersburg senior lecturer of political economy Nikolay Kozhanov recently declared that despite much pressure from the Iranian business sector for a greater use of crypto-currency as a means of both preserving asset and inventory values and relieving pressure based on wide swings in current currency exchange rates, attempts by Moscow and Tehran to tap into bilateral trade-based crypto-currency flows are merely matters of discussion for now. Meaning nobody can predict the outcome. Fanusie reported that in May, “a senior Iranian economic official met with his Russian counterpart in Moscow. The Iranian official then announced that Iran’s central bank would develop proposals for a state-backed crypto-currency and opined that crypto-currencies could help both countries steer clear of the SWIFT banking system and dollar transactions. Russian media also reported that the two countries planned to reconvene to discuss interbank cooperation in July, although there has not been press coverage of that meeting. Interestingly, Russian entrepreneurs helped Venezuela’s Maduro regime to launch a state crypto-currency, although it appears that effort has floundered; some media sources report that the Kremlin has overseen the Venezuelan crypto project. Iranian and Russian press report that Russia is stepping up its campaign to speed up the adoption and integration of its international payment system known as the System for Transfer of Financial Messages (SPFS), developed by the Central Bank of Russia as the Russian equivalent to the Europe-based financial messaging network known as the Society for Worldwide Interbank Financial Telecommunication (SWIFT). Talks are underway involving Russia, China, Turkey and Iran. Russia started its development of SPFS in 2014 after the US threatened to disconnect Russia from SWIFT. The first SPFS transaction took place in December, 2017. The announcement by US Treasury Secretary Steven Mnuchin in October that talks are underway with SWIFT aimed at Iran’s disconnection from SWIFT as part of the US’s maximum pressure campaign simply will compel Iran to become more open to adopting SPFS. Anatoly Aksakov, head of the Russian parliamentary committee on financial markets, was quoted as saying that SPFS is now more popular than SWIFT and that the number of SPFS users outnumber those using SWIFT. Imagine if Iran, China and Russia implement a crypto-currency-friendly SPFS solution. China and Russia are already seeking a way to displace it not defeat the almighty dollar outright, but doing so remains nothing more than a pipedream for now. China and Russia together dominate the global crypto mining sector today. Currently, these are pieces of a much bigger puzzle. Once assembled, however, it could change everything.